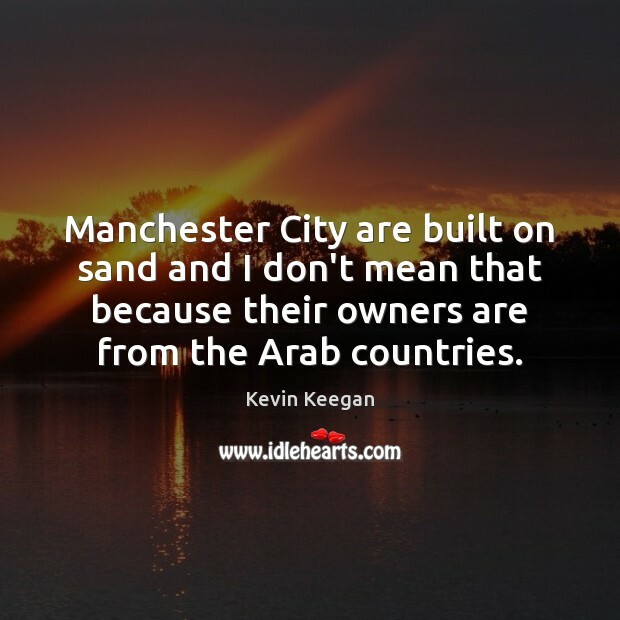 Quotations about Arab Countries. Quotes to stimulate mind and drive action! Use the words and quote images to feed your brain inspiring things daily! 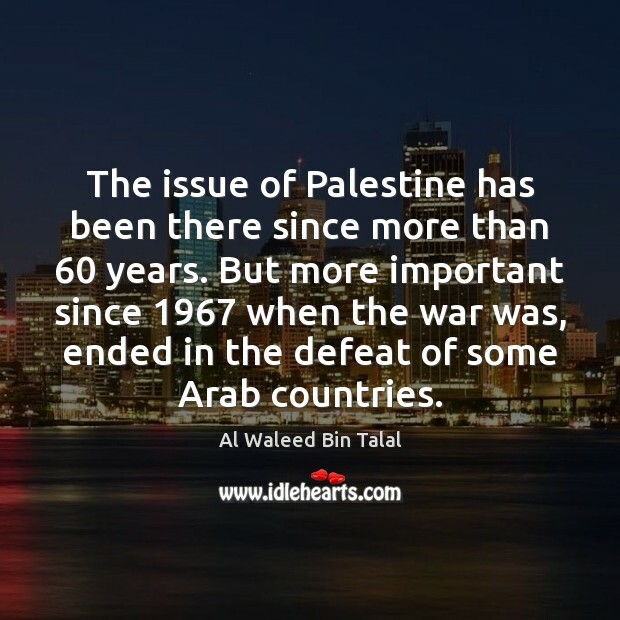 The Arab countries in the Middle East have for decades demonized Israel, to Western leadership, which for reasons not entirely clear, listen to them politely. 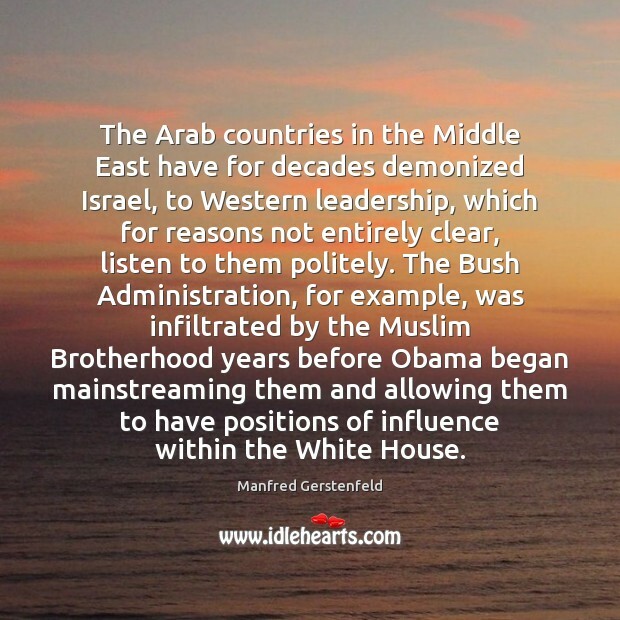 The Bush Administration, for example, was infiltrated by the Muslim Brotherhood years before Obama began mainstreaming them and allowing them to have positions of influence within the White House. 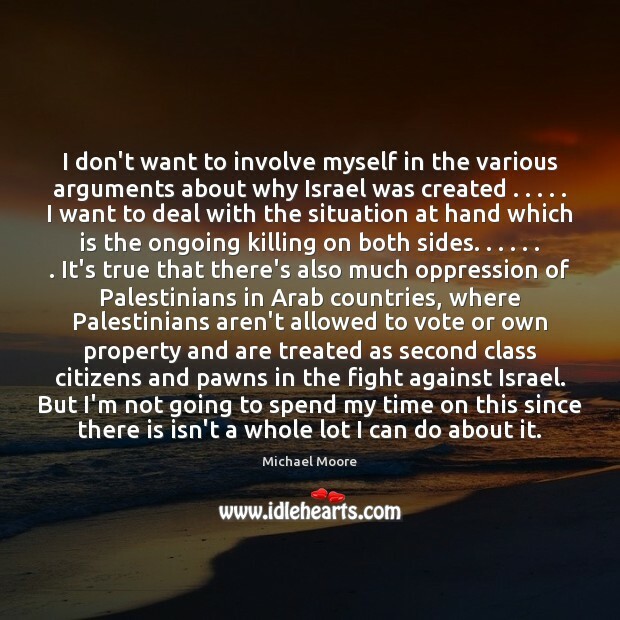 I don't want to involve myself in the various arguments about why Israel was created . . . . . I want to deal with the situation at hand which is the ongoing killing on both sides. . . . . . . It's true that there's also much oppression of Palestinians in Arab countries, where Palestinians aren't allowed to vote or own property and are treated as second class citizens and pawns in the fight against Israel. But I'm not going to spend my time on this since there is isn't a whole lot I can do about it. 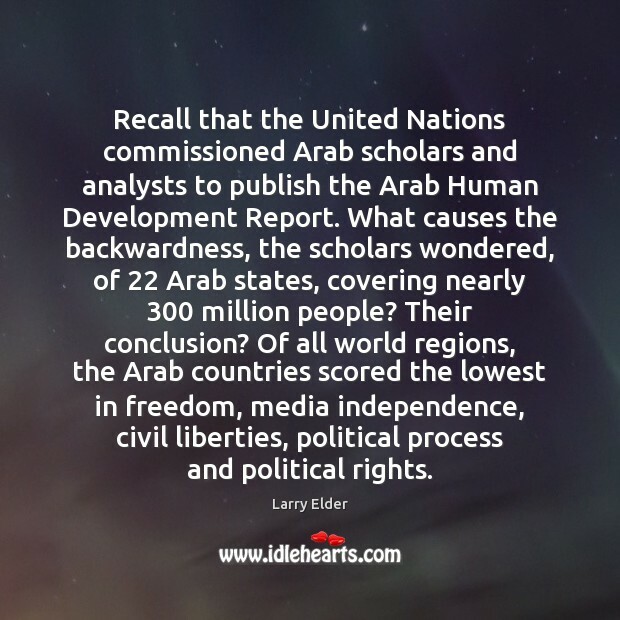 There is something very consistent about governance in the Arab world. 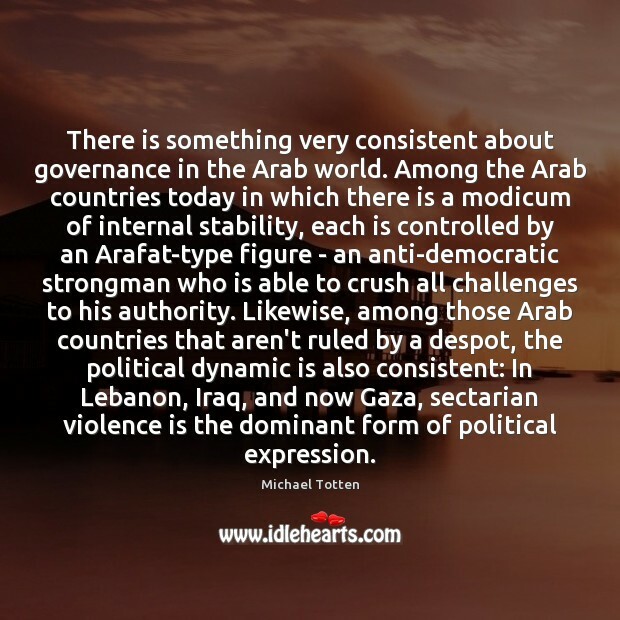 Among the Arab countries today in which there is a modicum of internal stability, each is controlled by an Arafat-type figure - an anti-democratic strongman who is able to crush all challenges to his authority. Likewise, among those Arab countries that aren't ruled by a despot, the political dynamic is also consistent: In Lebanon, Iraq, and now Gaza, sectarian violence is the dominant form of political expression. 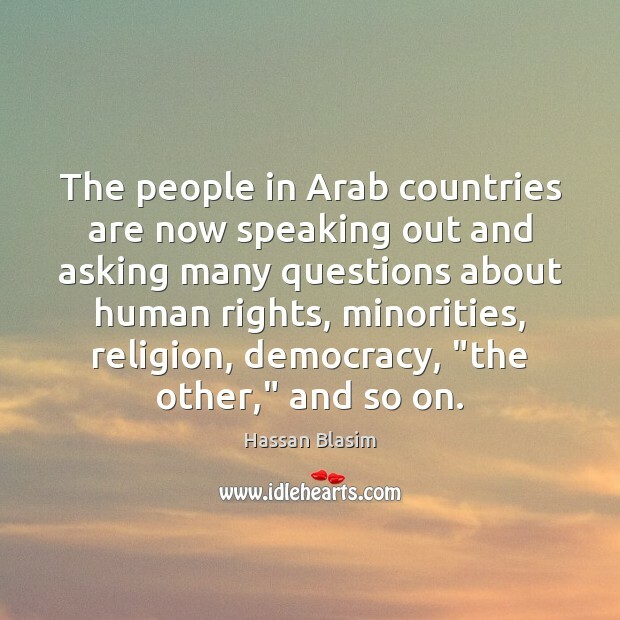 The people in Arab countries are now speaking out and asking many questions about human rights, minorities, religion, democracy, "the other," and so on. 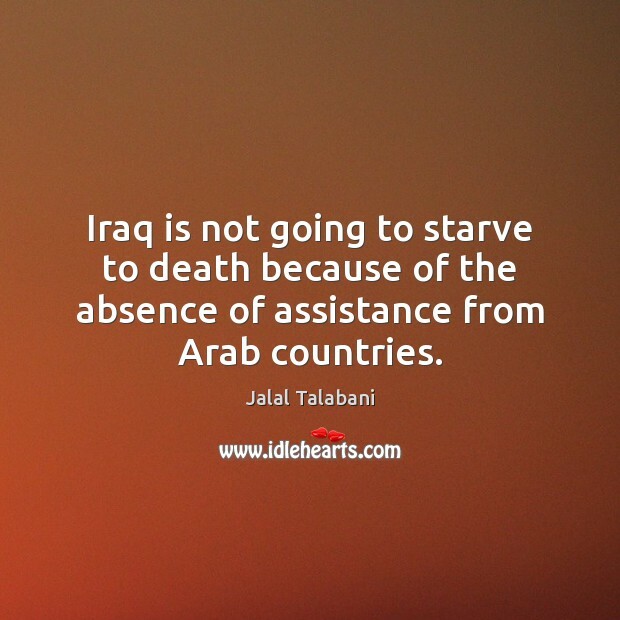 Iraq is not going to starve to death because of the absence of assistance from Arab countries. The UN should arrange, as US forces leave, for an international group of peacekeepers and negotiators from the Arab countries to bring together Shiites, Sunnis and Kurds, and work out a solution for self-governance that would give all three groups a share in political power. 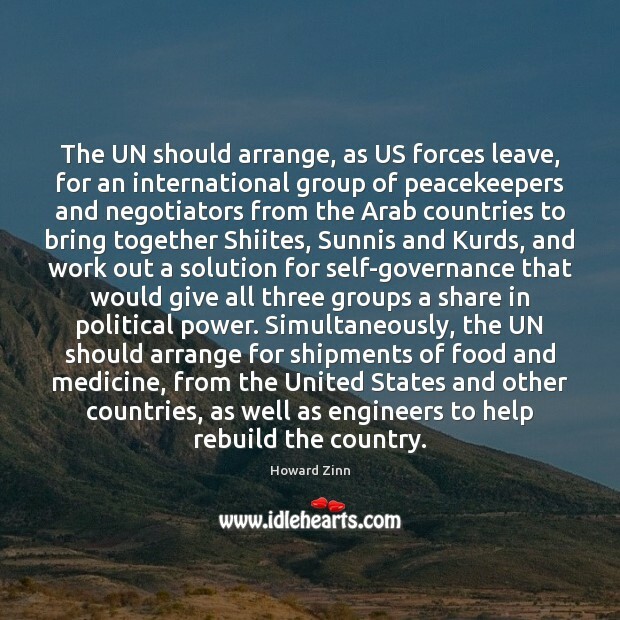 Simultaneously, the UN should arrange for shipments of food and medicine, from the United States and other countries, as well as engineers to help rebuild the country. 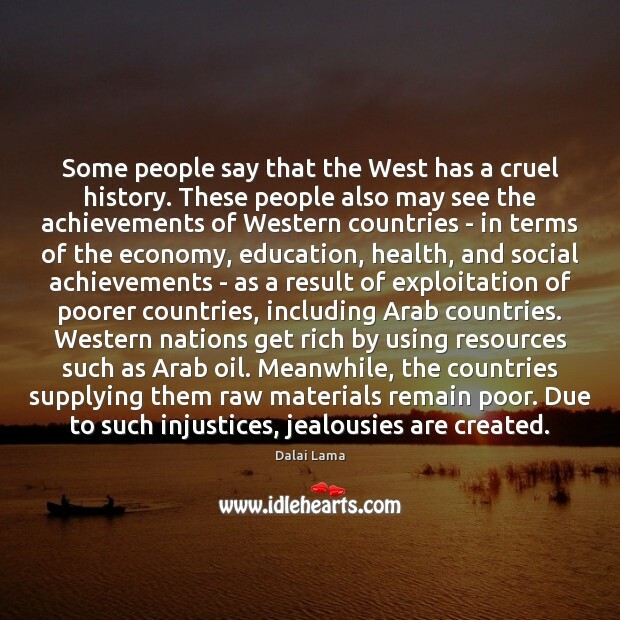 Some people say that the West has a cruel history. These people also may see the achievements of Western countries - in terms of the economy, education, health, and social achievements - as a result of exploitation of poorer countries, including Arab countries. 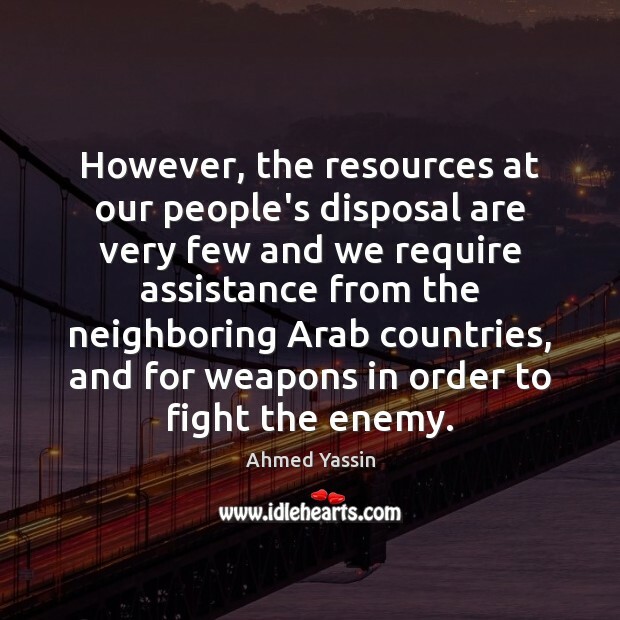 Western nations get rich by using resources such as Arab oil. Meanwhile, the countries supplying them raw materials remain poor. Due to such injustices, jealousies are created. 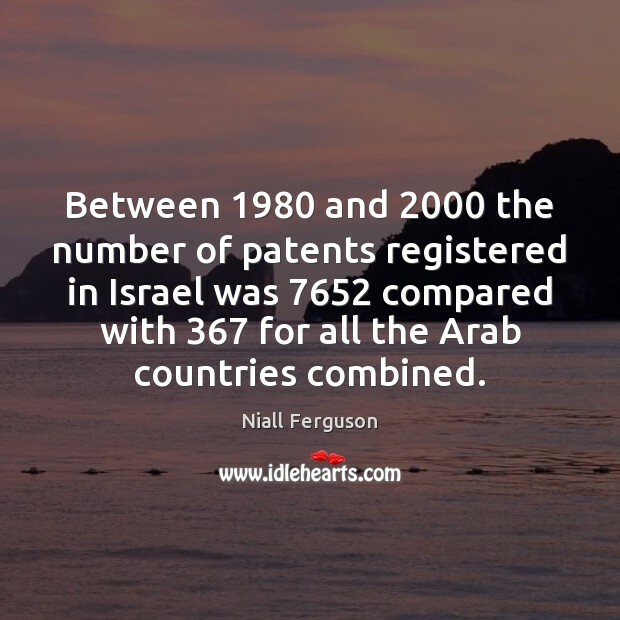 Iran has been calling for it for years, and the Arab countries support it. Everyone except the United States and Israel support it. The U.S. won't allow it because it means inspecting Israel's nuclear weapons. The U.S. has continued to block it, and in fact blocked it again just a couple of days ago; it just wasn't widely reported. 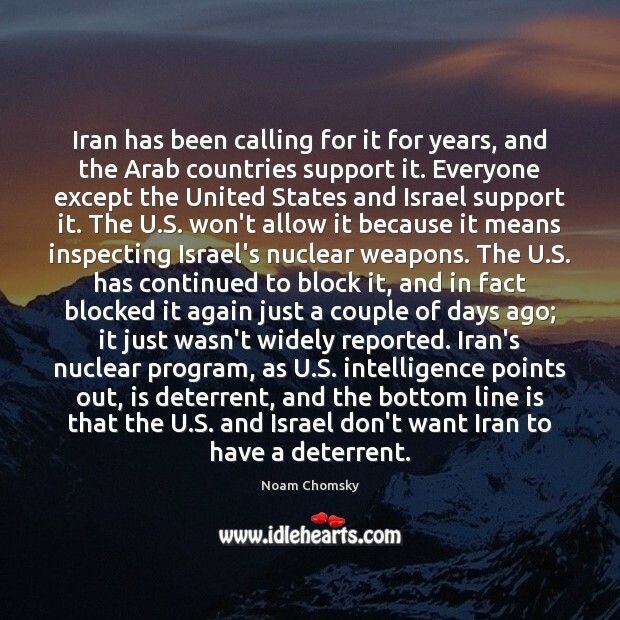 Iran's nuclear program, as U.S. intelligence points out, is deterrent, and the bottom line is that the U.S. and Israel don't want Iran to have a deterrent. 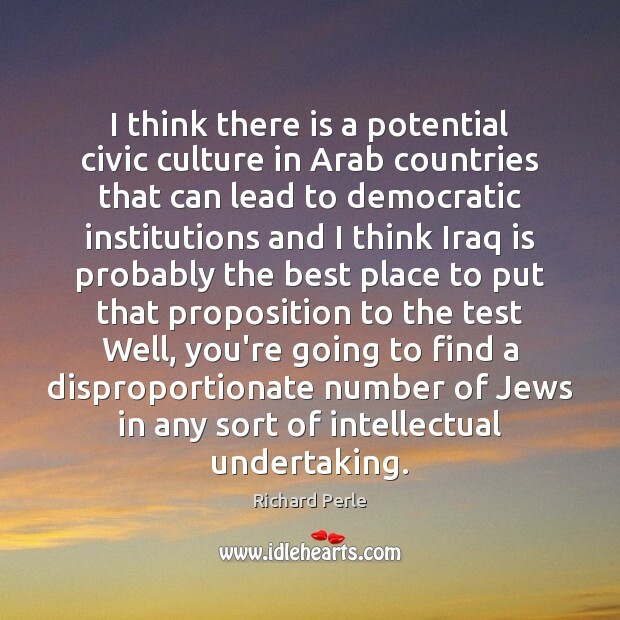 I think there is a potential civic culture in Arab countries that can lead to democratic institutions and I think Iraq is probably the best place to put that proposition to the test Well, you're going to find a disproportionate number of Jews in any sort of intellectual undertaking. Egypt is kind of like the Hollywood of the Middle East. 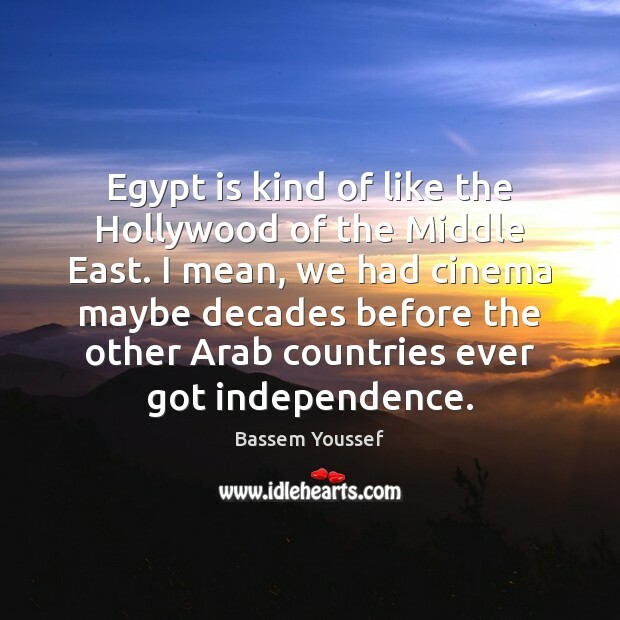 I mean, we had cinema maybe decades before the other Arab countries ever got independence.